Home>New Mixtapes>Nav Mixtapes> Nav Grabs Future & 88GLAM For "Bad Habits (Deluxe)"
Nav drops off the deluxe edition of "Bad Habits" including three new songs and the songs from the "Brown Boy" EP. Nav came through with his latest project, Bad Habits last Friday. Following its release, he hopped on Twitch with Ninja for a "Fortnite" stream where he revealed that he'd be releasing a new collaboration with Future as a one-off single. However, instead of just releasing the song by itself, he came through with the deluxe edition of Bad Habits which arrived last night. 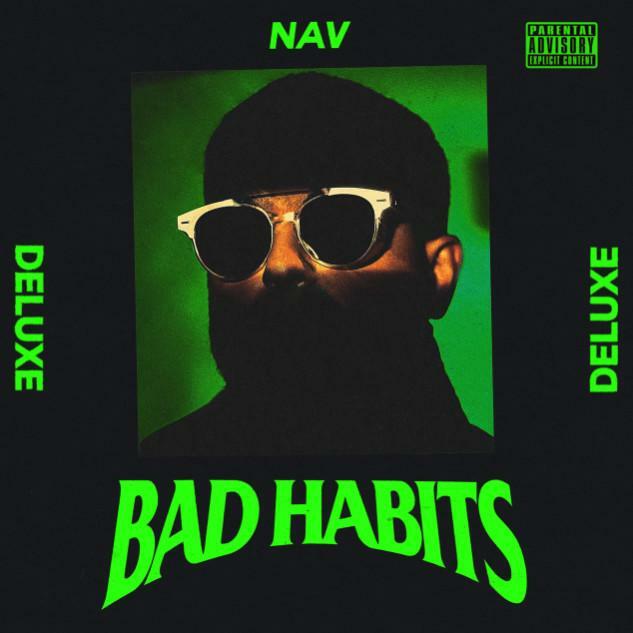 Nav added eight more songs to Bad Habits for its official deluxe edition. Unfortunately, his collaboration with Uzi is still missing from the project but he did release the version of "Habits" without Uzi's verse. "They wouldn’t let my brother @liluzivert voice be heard on habits so I made sure his words were still on the song at least," he said about the song on his Instagram. The deluxe edition also includes his Future collab, "Amazing" as well as a new collaboration with his XO cohorts, 88GLAM, who appear on "Rack In My Sleep." Nav also added the songs from Brown Boy EP which were initially released exclusively on Audiomack. MIXTAPES Nav Grabs Future & 88GLAM For "Bad Habits (Deluxe)"